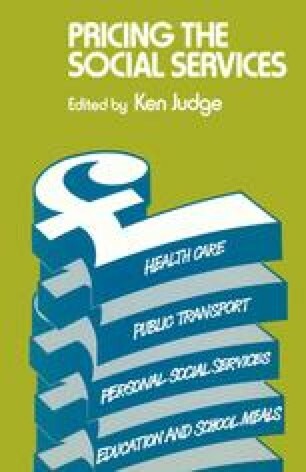 The discussion of public transport pricing policy presented in this chapter commences with a review of the principles and problems involved in the use of prices to achieve an efficient use of resources in public transport. The historical development of public transport pricing policies is outlined, and this is followed by a brief discussion of the present situation in which both rail and bus services receive substantial support from local and central government (totalling about £600 million in 1975/6). Any views expressed in this chapter are those of the authors and are not necessarily the views of the Department of Transport.